Some of our fondest memories can be found in Thailand. It is not just the landscape and people who are beautiful – but the food too. This dish does not require any cooking and is a clean take on a traditional Thai noodle salad. It is flavoursome, filling and you can adjust the spice according to your taste buds. 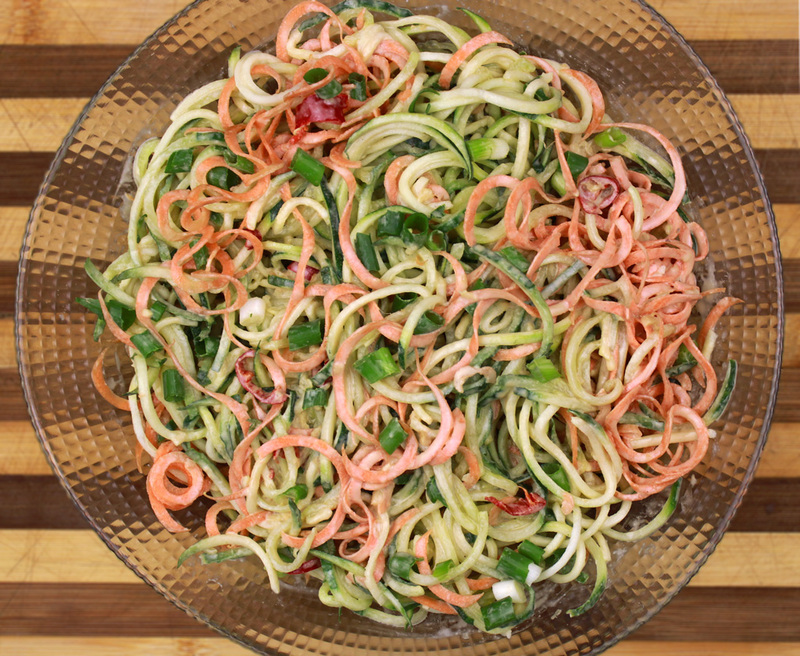 Bursting with goodness, the courgette, carrot and cucumber are best spiralised, but if you do not have a spiraliser, just julienne them instead. Amazing on the digestive system and wonderful on the palette – enjoy! 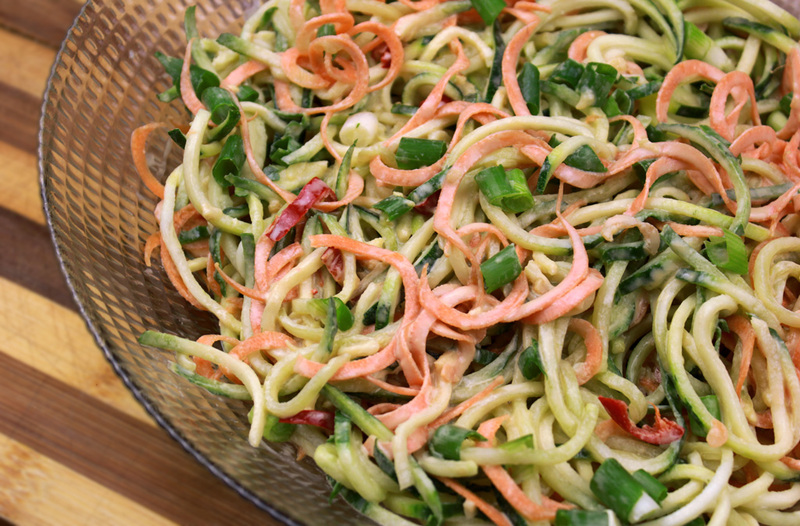 Spiralise the courgettes, carrots and cucumber and place in a bowl. Finely chop the spring onions and red chilli and add to the bowl. Grind the cashews up as best you can and set aside. Place all the dressing ingredients into a small bowl and whisk together. Pour the dressing over the bowl and mix well (I use my hands to really make sure the dressing is fully mixed together with the vegetables). Add cashews and serve.